There is no form of mass communication with more raw, elemental impact than signs and banners. Slicky produced or crudely drawn, they get the message across simply, quickly, inexpensively. Commercial signage has been a multicultural mainstay as long as cultures of one kind or another have existed. For the same basic reasons — simple, quick and cheap — signs are likely to survive long after other remnants of the analogue age have disappeared. Vinyl records, tapes, CDs are gone or going. (Yes, I know, vinyl is making a comeback. Wait 10 years.) Bound books are fast becoming the purvue of purists. Yet our urban centers are still awash in physical signage. Outdoor events bristle with traditional media like tents, flags and banners. As a fan of futuristic fiction, I can imagine a day when all this will be gone, but that time is not even close to being on the horizon. This is called job security here at MPA Event Graphics. Nevertheless, we are continually looking for ways to break free of our analogue roots. We explore any opportunity to use our real-world tools to help our clients connect to a wider digital audience. When these efforts are organic, seamless and well integrated, they can be surprisingly effective. The “Wow Factor,” is resurgent. In the year 2017, what looks different and exciting invites people to notice, record and share on line, increasing the audience exponentially. When signage engages, surprises, delights, it opens doors to digital possibilities not even contemplated a decade ago. Enter the age of augmented reality. Think of “The Daily Prophet” newspaper from the Harry Potter movies, in which the photographs are essentially embedded video clips. It’s an area of interest and active exploration here at MPA for its potential to bridge from analogue to digital seamlessly and inexpensively. 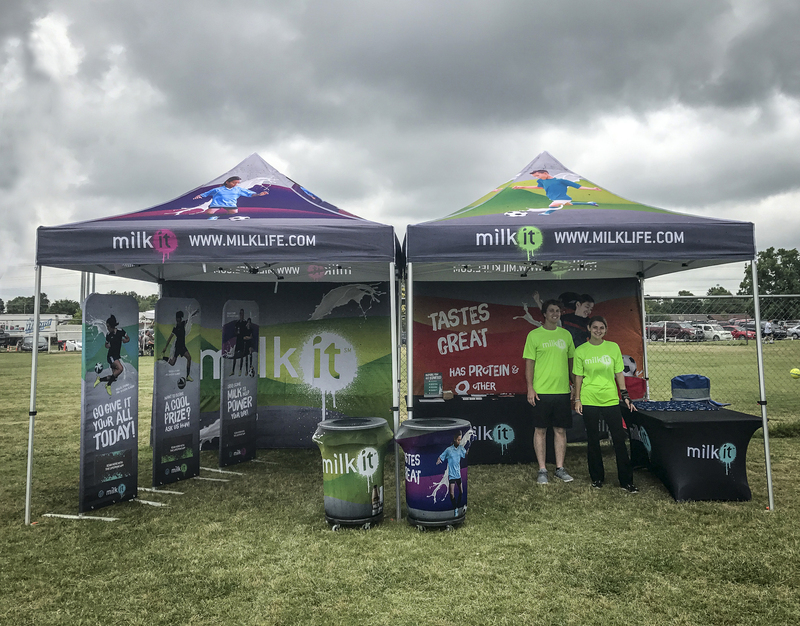 Earlier this year we had a chance to work with LifePrint Photos, and agency client Weber Shandwick on a project that incorporated augmented reality into a youth soccer promotion for the Milk Advisory Board. We produced a traditional event footprint that included printed tents, walls, table covers and supplemental free-standing signage. 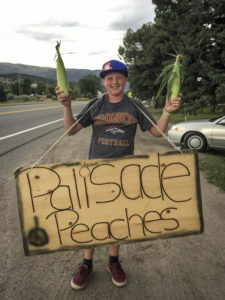 In this case, however, digital cues were embedded in specific areas of the signage that allowed kids to use the LifePrint phone app to unlock video celebrity soccer tips and treasure hunt clues. It was an exciting start to what I think is an area of great promise for large format signage — a future that includes turning traditional billboards into movie trailers, banners into 15-second commercials, product labels into instructional videos. We are only now seeing the faint stirrings of what augmented reality might, can, or will, become: a marriage of old and new that is far greater than the sum of its humble parts.